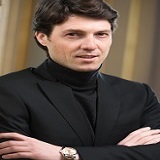 Dr. Alain L Fymat is a medical-physical scientist and an educator. He was educated at the University of Paris-Sorbonne and the University of California at Los Angeles. He is the current President/CEO and Professor at the International Institute of Medicine and Science with a previous appointment as Executive Vice President, Chief Operating Officer and Professor at the Weil Institute of Critical Care Medicine. He was formerly Professor of Radiology, Radiological Sciences, Radiation Medicine (Oncology), Critical Care Medicine, and Physics at several U.S. and European Universities. Previously, he was Deputy Director (Western Region) of the U.S. Department of Veterans Affairs, Veterans Health Administration (Office of Research Oversight), and Director of the Magnetic Resonance Imaging Center and for a time Acting Chair of Radiology at its Loma Linda, California Medical Center. He has extensively published (~ 425 publications including patents, books & monographs, book chapters, refereed articles). As invited/keynote speaker and member of organizing committees of international congresses and symposia, he has lectured extensively in the USA, Canada, Europe, Africa and Asia. He has been the recipient of numerous research grants from government, academia and private industry, and has consulted extensively with these entities. He is a Board member of several institutions and Health Advisor of the American Heart & Stroke Association (Coachella Valley Division, California). 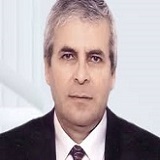 He is Editor-in-Chief, Honorable Editor or Editor of 32 medical-scientific Journals. nanotechnology and cancer, nanochemotherapy, nanoneurology, natural and synthetic immunotherapy, drug delivery across the brain protective barriers, and neurodegenerative disorders. Dr. Sanjay Gupta is a Professor & Research Director and holds Carter Kissell Endowed Chair in Urologic Oncology in the Department of Urology at Case Western Reserve University and The Urology Institute at the University Hospitals Case Medical Center. He also holds secondary appointments in the Departments of Nutrition and Division of General Medical Sciences at Case Comprehensive Cancer Center. Dr. Gupta has joint appointment as Research Scientist at the Louis Stokes VA Medical Center, Cleveland, Ohio. Dr.Gupta obtained faculty position in 2002 at Case Western Reserve University, School of Medicine. Dr. Guptaâ€™s research involves basic, translational and clinical areas of focus. In basic research his focus is to understand the risk factors and mechanisms of prostatic and bladder diseases and develop appropriate biomarkers for early detection and prognosis. Translational research focus is to identify novel targets to monitor the efficacy of various synthetic and natural agents and develop them as chemo preventatives/therapeutics. His clinical research interests are translation of bench research to its application in clinics. Dr. Gupta has authored some 150 publications, including book chapters, research articles and reviews,and has spoken at several occasions in cancer prevention symposium, seminars and meetings. He has been serving in various study sections at National Cancer Institute (NCI) and Department of Defense(DOD), and other councils around the globe. He also serves on the Editorial board as well as reviewer for several prestigious scientific journals. His innovative research on basic and translational aspects has been featured on NBCâ€5 news and highlighted in the Plain Dealer, and American Association for Cancer Research, and American Urological Association press release. Professional experience in oncology circles, supported by multiple collaborations with major hospitals, allowed LOUIS CAZE to benefit from a reference fame as an Expert Support Care. First, Specialist lymphatic, muscular and circulatory LOUIS CAZE makes the total body approach his chosen field. It captures the benefits of physical-mental balance in the treatment of chronic diseases, and specializes in supportive care dedicated to cancer diseases. His collaboration with renowned organizations such as the Institute Gustave Roussy, was punctuated with exceptional professional and human experience. LOUIS CAZE is involved in implementing a comprehensive approach to cancer patient, in a real project of care that optimizes patient's quality of life, ensuring the different key aspects of health: the well physical and psychological, but also the entire social and family interactions. After these experiences, LOUIS CAZE work for the development of Support Care, including the management of pain and psychology. Dr. M. M. Karindas is the President of the WAMS, the World Academy of Medical Sciences, where he has been serving as its leader for more than two decades now. Having extensive experience as a research scientist in Clinical and Molecular Oncology, he is the holder of landmark research studies including the "Multicellular Origin of Cancer" and "Oncogenetic Evolution" as well as the OCA/OTA/OCATA and ECE research studies. He is the creator and writer of the KGS, the â€œKarindas Grading Systemâ€, the all-encompassing universal paradigm of tumor grading and a new integral method of clinical management in oncology. He is also the writer and declarant of the phenomenal "International Declaration of Oncogenesis" whose Part V (OCA/OTA/OCATA in Oncogenesis) will be presented by him at our World Congress of "Cancer Science and Therapyâ€-2018 in Madrid. Having his main research interests in "Oncogenesis", "Cancer Metastasis", "Cancer Stem Cells", "Tumor Cell Biology", "Molecular Oncopathology", "Cell Signaling", "Signal Transduction", "Extracellular Matrix" and the "Origin and Evolution of Cancer ", he is currently busy working on the creation and establishment of a new medical algorithmic system which will universally be used in oncology as well as other fields of medicine. InÃ©s Llamas Ramos has completed his PhD from University of Salamanca, Salamanca, Spain. She develops her professional work in Salamanca. She has been professor of the University of Salamanca, in the Department of Nursing and Physiotherapy. 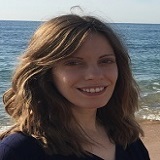 She has published articles about cancer and dry needling in reputed journals. 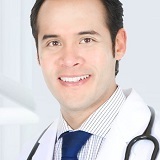 Joel I Osorio is an innovative businessman with a distinct entrepreneurial mindset concentrated adding value on areas of Biotechnology (mRNA), Reprogramming & Regenerative Medicine for translational use in humans and a variety of clinical applications aimed for both the private and the public health sectors. Dr. Osorio is the Founder, President, and CEO of RegenerAge Clinic and RegenerAge Beauty initiatives for transnational implementations. Vice President and International Clinical Developer for Bioquark, Inc., Chief Clinical Officer and Co-Founder at Reanima Advance Biosciences Project. Founder and CEO at Dr. JoisÂ® and BiorganicAgingÂ® initiatives. He is the Medical Advisor at The Cracking MonkeyÂ® and HairLogicaÂ®. 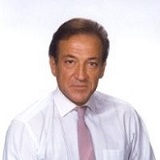 Chief Medical Officer at What Skin Needsâ„¢/WSN International Pty. Ltd. Within the academic and educational fields, Dr. Osorio acts as the Executive Vice President: Chairman of the WAMS Americas Division, member of the WAMS Executive Council (WAMS Executive Board), a member of the WAMS Education & Training Board (ETB), a member of the WAMS Editorial Board, an Honorary Member of the Academy Faculty FWAMS, an Honorary Fellow of the Academy & is also a Senior Partner at WAMS, The World Academy of Medical Sciences. He also functions as the Chief Executive Officer and a Founder at The Reprogramming Medicine Association. Dr. Osorio has appeared on several occasions on International T.V. shows, newspapers, radio shows, online discussion panels and has published multiple articles and medical reviews. Mr. De la Parra is an entrepreneur focused on Information Technology, Education and Health. He is creative and results-driven and has 16+ years of Digital Strategy experience in architecture and implementation. Mr. De la Parra is the COO and Co-founding Partner at The Solomon Brokerage Firm. He currently leads as CEO at Mass Media Division and De la Parra Mobile Solutions and is former CEO & Founder at Astrum Salud MÃ³vil and its Telemedicine service Astrum MÃ³vil. Moreover, he is a member of the Board of Advisors, former COO & Co-founder at RegenerAgeÂ® Clinic & RegenerAgeÂ® Beauty, a member of the Board of Advisors, former Digital Strategy Director & Co-founder at Dr. JoisÂ®, BiorganicAgingÂ®, What Skin Needsâ„¢/WSN International Pty. Ltd. He also serves as a member of the Board of Advisors and is former CMO at ReAnima Advanced Biosciences and is a member of the Board of Advisors and former Digital Media Director at Bioquark, Inc. 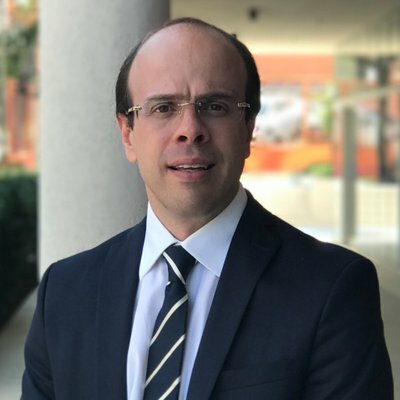 He is also the former Latin America Region Manager and Digital Strategy adviser at CardiacSense and former CITO & Senior Partner at Cerezo Editores. Within the academic and educational fields, Mr. De la Parra acted as the Executive Vice President: Executive Chairman of the WAMS Mobile Health Division, WAMS Chief Coordinating Officer, a member of the WAMS Executive Council (WAMS Executive Board), a member of the WAMS Education & Training Board (ETB), a member of the WAMS Editorial Board, an Honorary Member of the Academy Faculty FWAMS, an Honorary Fellow of the Academy & is also a Senior Partner at WAMS, The World Academy of Medical Sciences. He is also an Advisory Board member, functioned as the Chief Operating Officer and is a Co-founding Partner at The Reprogramming Medicine Association. Mr. De la Parra is also a member of the National Introducing Brokers Association and a part of the National Biofuel Board, (Alliance Program), also being the founder and former Board of Directors member of Astrum FundaciÃ³n, an Advisory Board member of the Lifeboat Foundation, an Advisory Board member of the Future Worlds Center - Cyprus Neuroscience & Technology Institute (Senior TV Program), a Federated member of the International Longevity Alliance, and volunteered as Digital Strategy adviser at the Major Mouse Testing Program. He is also a member of the Web Committee at the Life Extension Advocacy Foundation / Lifespan.io and has volunteered with SENS Research Foundation for the OncoSENS Program in Digital Strategy. 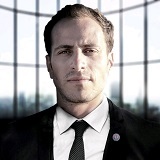 Alejandro De la Parra Solomon is on Google+, Facebook, and on LinkedIn. Dr. Brij. 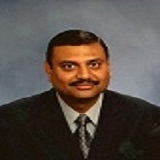 M. Gandhi, M.Sc., Ph.D. is presently CEO and founder of Neo BioMed Services (www.neobiomed.com), providing services and consultancy in health areas and regulatory issues related to biopharmaceuticals, pharmaceuticals, including stem cell and regenerative medicine. Dr. Gandhi had his Masters in Biochemistry from PAU and Ph.D. in Experimental Medicine from the University of Bergan, Norway. He was trained at the Massachusetts Institute of Technology, USA; London School of Hygiene and Tropical Medicine, London; National Institutes of Health, Maryland, USA; Hvidovre Hospital, Copenhagen and University of Bergan, Norway. 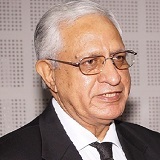 Dr. Gandhi retired in 2006 as Adviser to the Government of India, Ministry of Science and Technology, Department of Biotechnology, managing promotion and policy related issues in biotechnology related to international collaborations, medical biotechnology, infrastructure development, animals and aquaculture biotechnology. Prior to that he was Research Scientist at AIIMS working on immunology of parasitic, bacterial and viral infections including amoebic diseases; hepatitis; liver diseases, IVD, food and nutritional health issues. Dr. Gandhi continues to serve as Advisor / Director to a number of institutions/pharma and biopharma industries with an experience of about 50 years of active service, as research scientist, science manager, adviser/consultant and over 155 publications. Designs related to biotechnology, regulatory affairs biopharmaceuticals pharmaceuticals, biodefence, healthcare, lifesciences areas including stem cell and regenerative medicine.